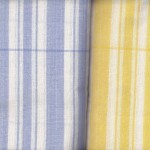 Brighten up your summers with our Light Picnic Ticking style tablecloth! 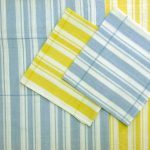 Inspired by Vintage French Ticking style, we created this cheerful and lightweight cotton tablecloth. 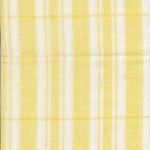 Available in Buttercup Yellow or Dusty Blue colours. 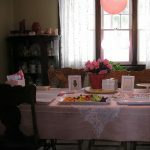 Alfresco Dining is an entertaining way for friends and family to gather for an enjoyable sunny day. 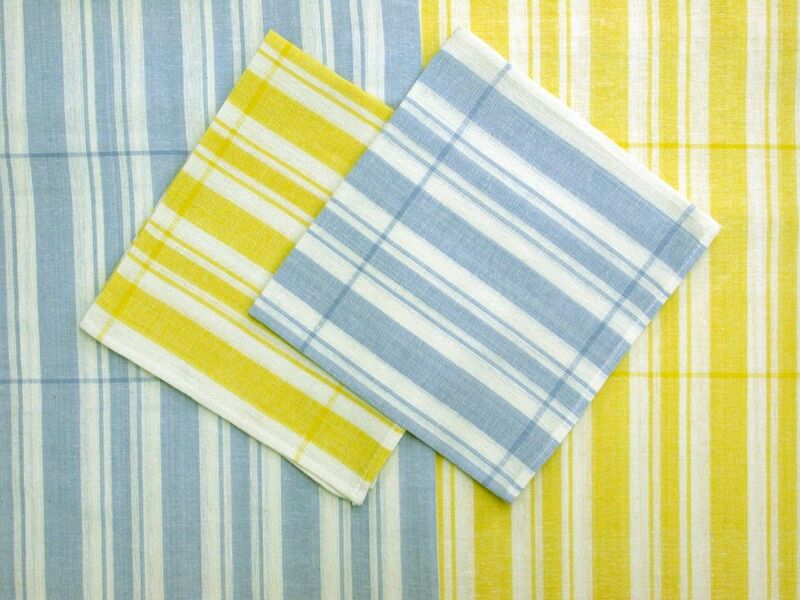 The bright colours and airy Cotton are ideal for picnics on the beach, or summer meals in the backyard. 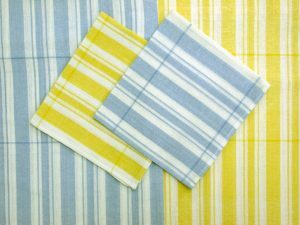 These tablecloths set the table for a crisp, modern look. Comes in 3 sizes. How else can we decorate? 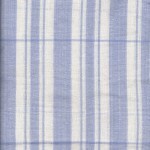 The cotton fabric we choose is light and airy. 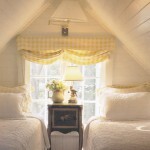 It is most often a popular choice as window covering. 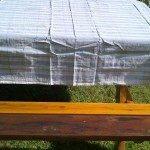 The natural curves of the round tablecloth can be a useful shape for the valance as seen in the picture. 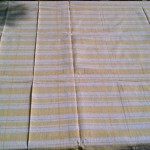 Made of light summer weight- muslin cotton. Shrinkage after wash to be anticipated. Choose colour : Buttercup Yellow or Dusky Blue. 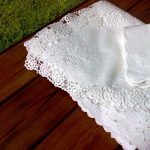 0.5″ hemmed & stitched at the edges of the tablecloth. Limited quantities while supply last.